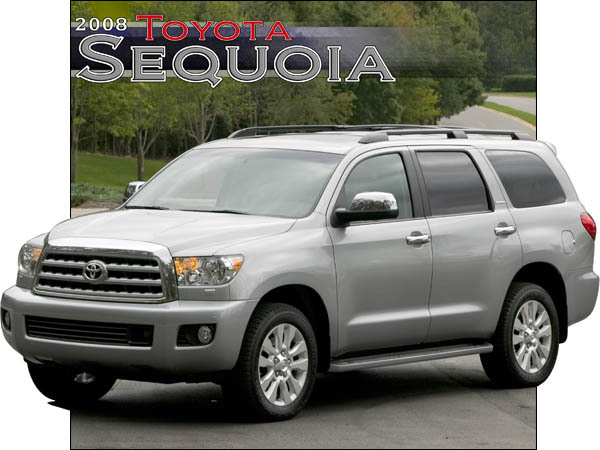 The all-new 2008 Toyota Sequoia received its official introduction this week at the Los Angeles Auto Show. 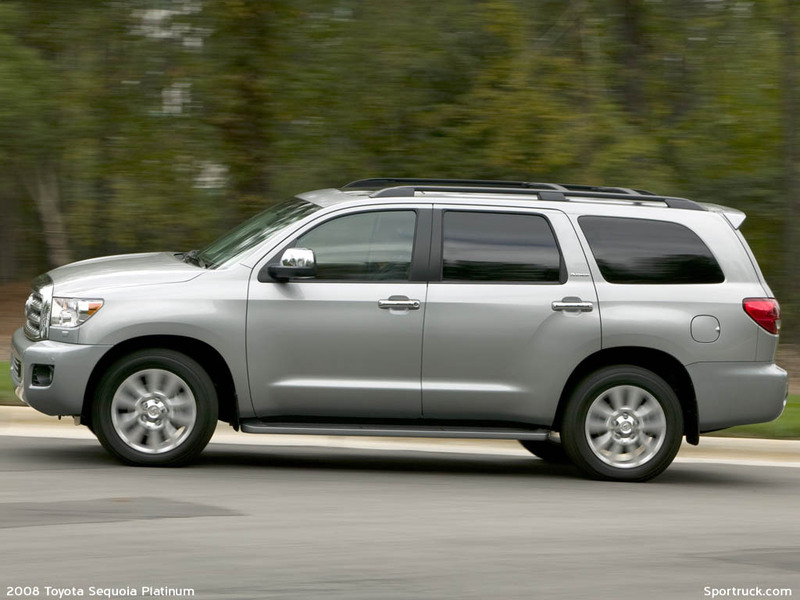 The new Sequoia is larger in every dimension and more powerful than its predecessor, with numerous refinements aimed at making the Sequoia as intuitive and family-friendly as possible. 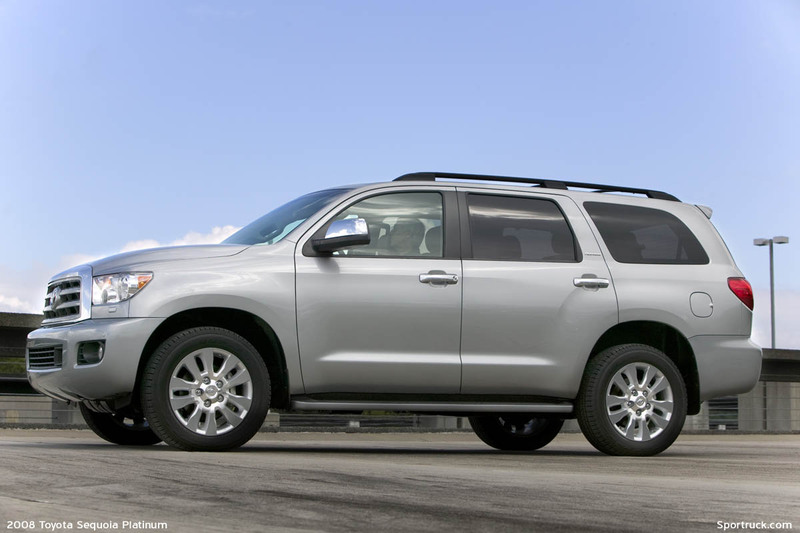 Since the Sequoia shares the Tundra platform, the larger chassis introduced with the 2007 Tundra has allowed the Sequoia to grow to a size on-par with rivals Chevy Tahoe and Ford Expedition. A new bumps the performance factor up a few notches while improving efficiency. 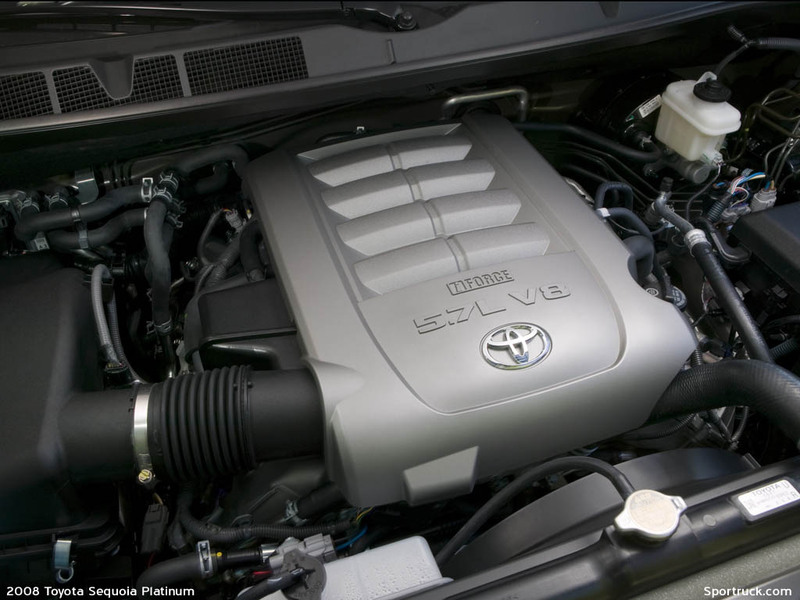 The new engine is a double overhead cam 5.7L V8, providing 381 horsepower and 401 lb-ft of torque. The engine features four valves per cylinder that are controlled with electronic variable valve timing which improves both power and efficiency. and two/haul mode. 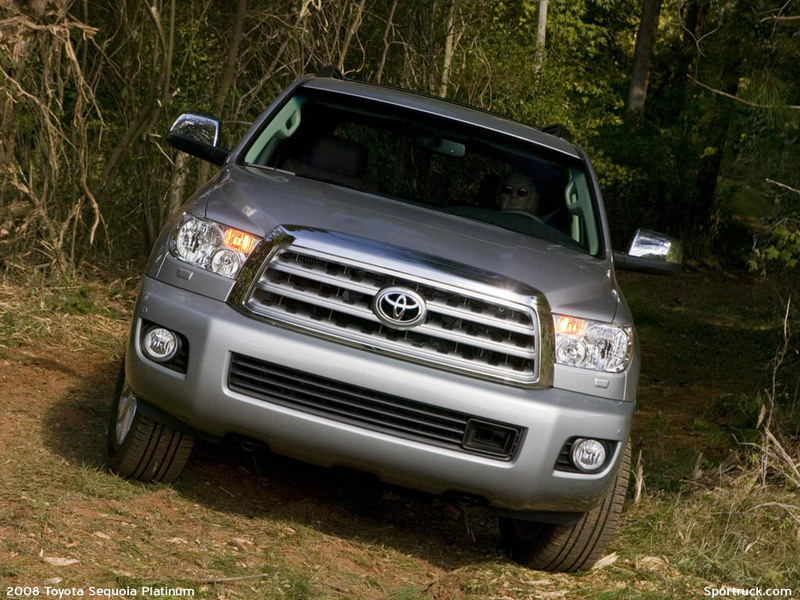 Toyota's flexible lock-up control allows the torque converter to lock in either fourth, fifth or sixth gears. The exhaust is all stainless steel and includes a valve inside the muffler to adjust exhaust flow, resulting in improved noise control and performance. 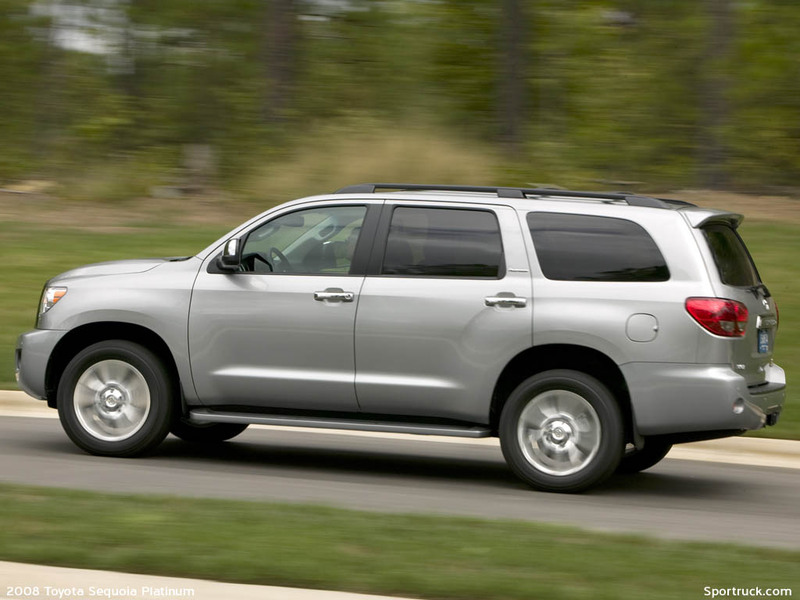 The four-wheel-drive equipped Sequoia receives an electronically-controlled transfer case, with dash-mounted control. The two-speed transfer case uses a limited-slip differential to transmit power to both the front and rear wheels. 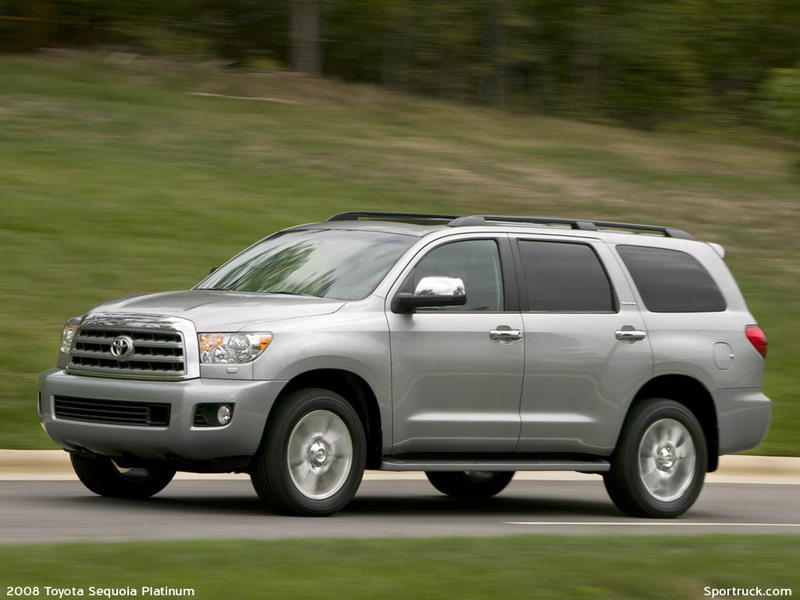 Larger front and rear differentials boost strength and accommodate the added power of the new engine. 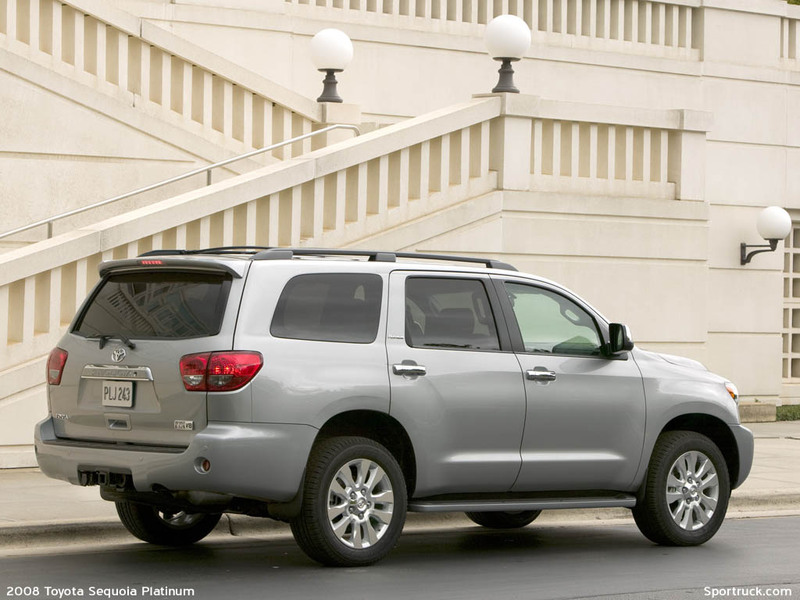 The 2008 Sequoia has independent front and rear suspension. The front uses upper and lower A-arms with coil springs and shocks and provides both more travel and a tighter turning radius compared to the previous model. 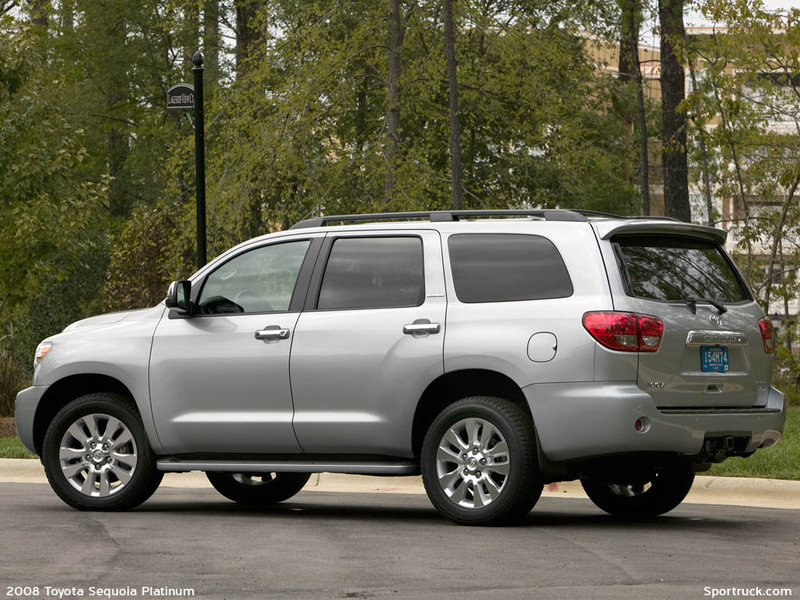 An optional air suspension with active control can be tuned for comfort, normal and sport settings, while adjusting for a level ride height while loaded or towing. 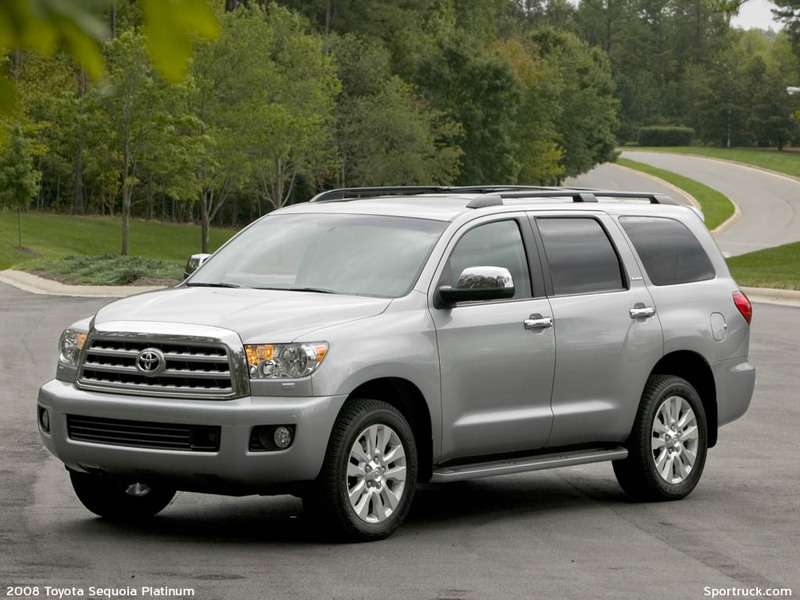 The Sequoia's larger body is sculpted to reflect a more rugged appearance, with a front-end treatment reminiscent of the new Tundra. The longer wheelbase and wider track provide a bold stance, while the shorter front and rear overhangs and smooth-flowing wheel arches improve to its nimble shape. 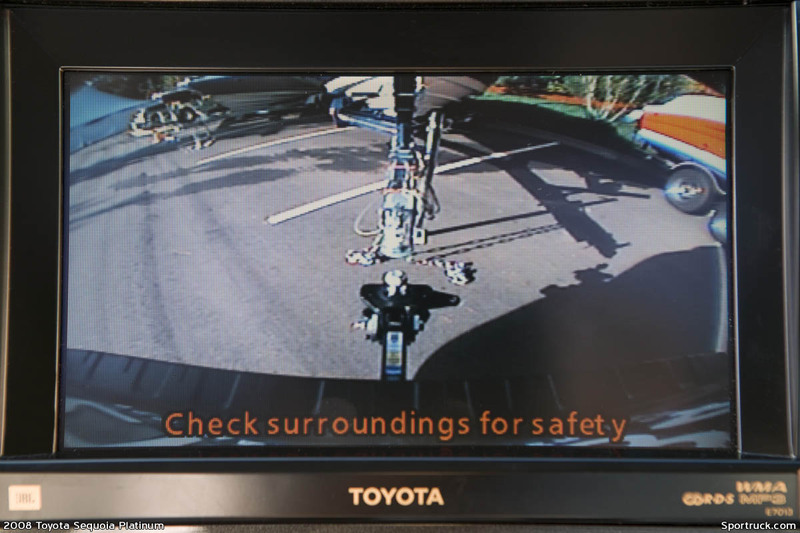 Large exterior mirrors retract when parked and tilt when the vehicle is put in reverse. The mirrors as well as the wipers, A-pillar and roof were shaped for optimum aerodynamics. 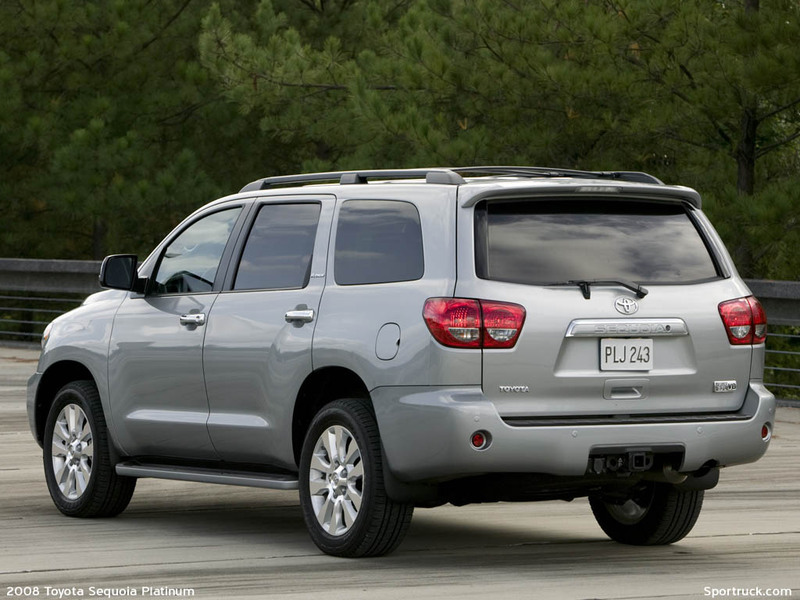 As a result, the new Sequoia achieves an extremely-low drag coefficient of 0.35. 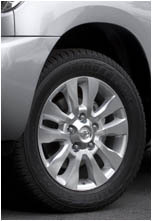 The Sequoia comes standard with 18-inch aluminum wheels and giant 275/65R18 tires. 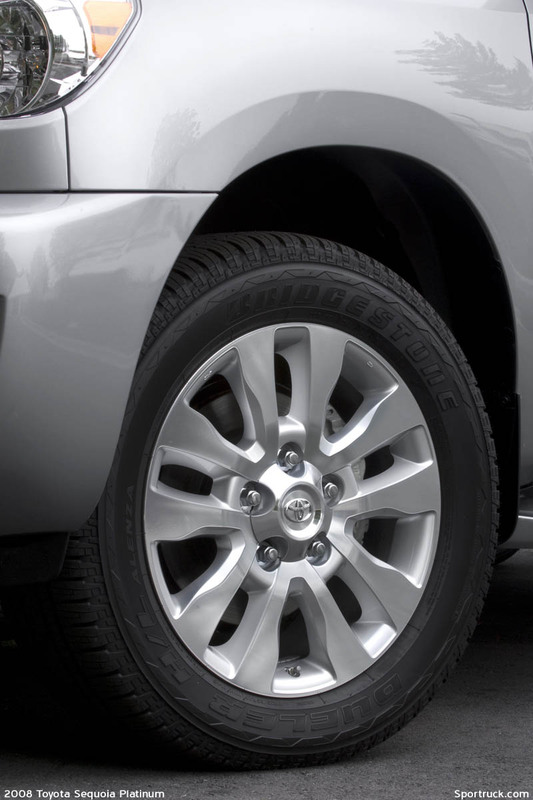 Larger 20-inch wheels with 275/55R20 tires are available to enhance the exterior package. 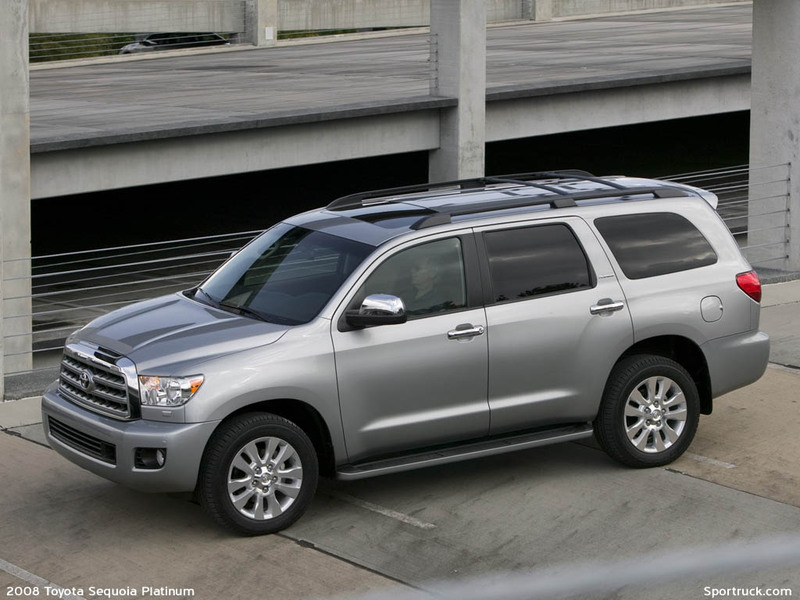 Bringing the new Sequoia to a stop are front and rear ventilated disc brakes, measuring 13.9-inches in front and 13.6-inches at the rear. The front brakes use four piston calipers for improved braking. The anti-lock brakes system includes electronic brake-force distribution with brake assist. 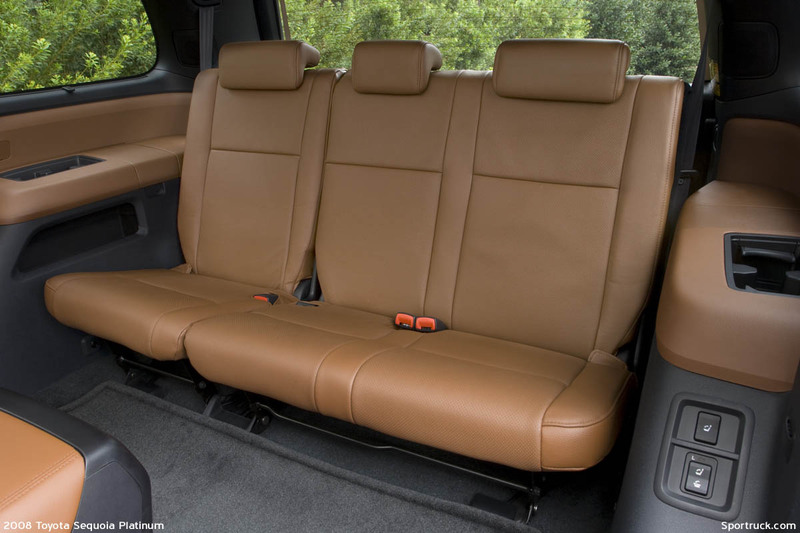 Inside, the 2008 Sequoia is more spacious, both wider and taller than the previous version. Three rows of seating provide room for eight passengers. 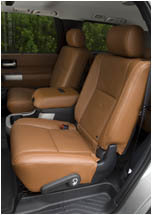 The second row allows nearly 6-inches of fore-aft adjustment for additional leg room when the third row is now in use. 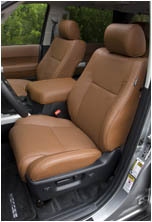 Both driver and passenger seats are available with power lumbar support and seat heaters. The second-row searing is available as a 40/20/40 split-bench or dual captain seats. While the third-row seat is split 60/40 and includes a reclining back. Both second and third seating rows can be folded flat. The dash has been completely redesigned with a modular theme. The instrument cluster consists of round gages set deep in raised openings on the silver metallic finish. The silver theme continues down to the floor-mounted shifter and silver climate control knobs. The air-conditioning system uses solar sensors and features independent left and right temperature controls to provide consistent results. The air conditioning can also be controlled with steering wheel mounted controls. 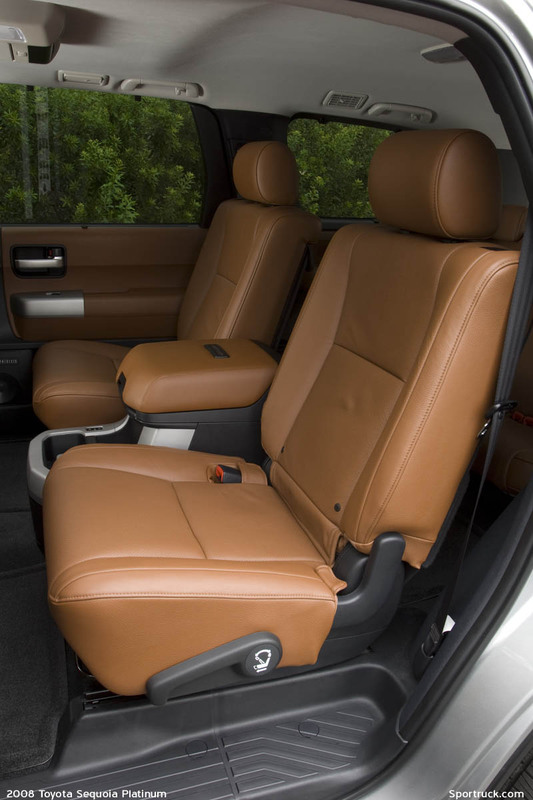 Entertainment includes an AM/FM/CD sound system, ranging from an eight speaker system to a 660-watt JBL Synthesis 14-speaker system with XM radio. 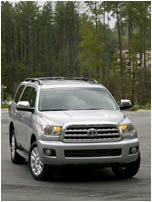 For rear passengers, a rear entertainment system is available with a DVD player and nine-inch display. The optional navigation system includes an dash-mounted seven-inch display. 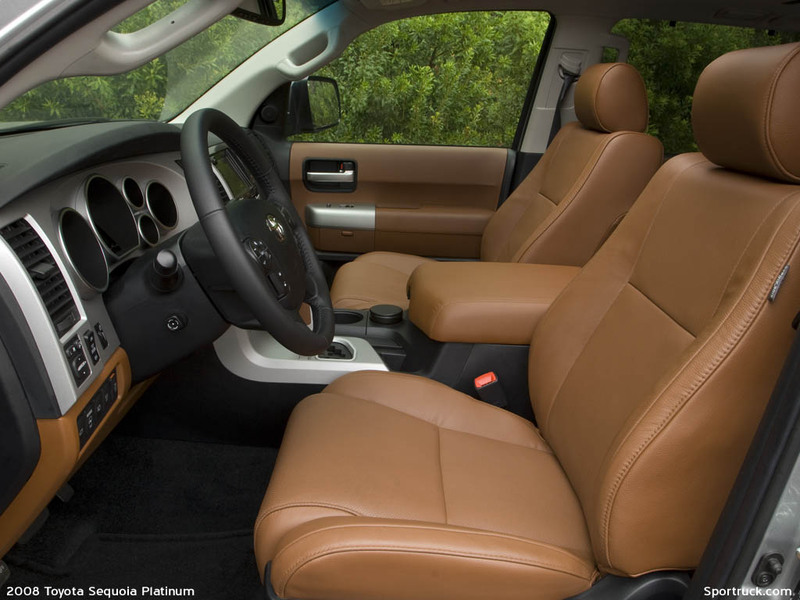 The spacious interior can accommodate cargo up to 11 feet in length. A large glove box as well as front and second-row consoles provide a variety of storage options. 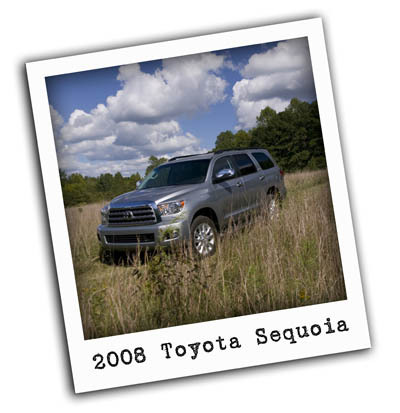 The 2008 Sequoia is available in three trim levels. Ranging from SR5 base to Limited to fully-loaded Platinum. 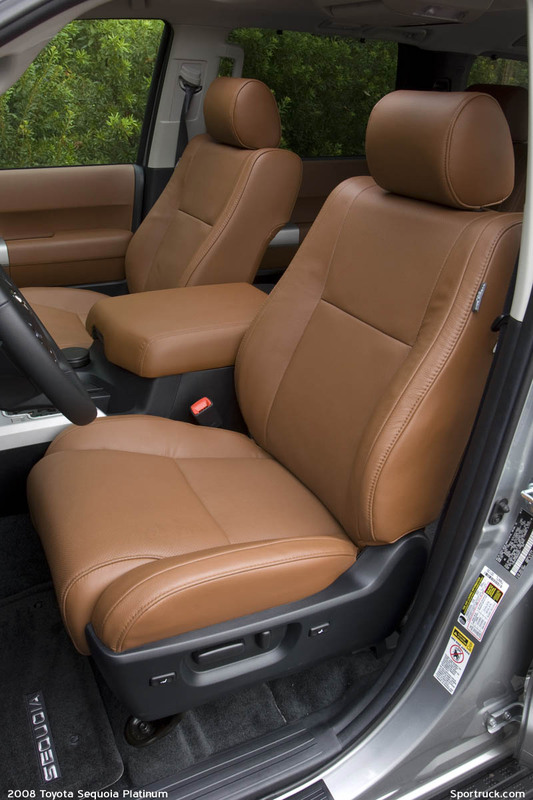 The SR5 is standard with the carry-over 4.7L V8 and five-speed automatic and cloth seats. 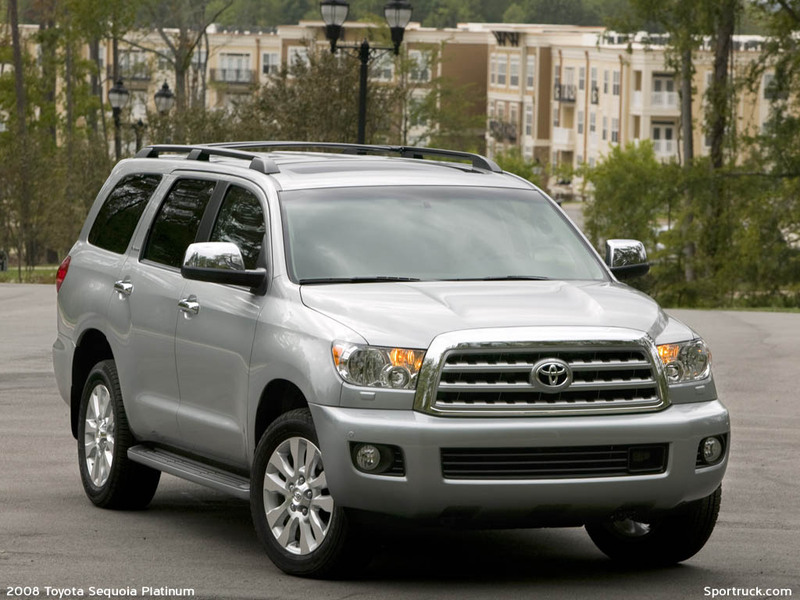 The Limited upgrades include front and rear parking assist, fog lamps and heated leather seats with power-adjustment. The Platinum upgrades include the new 5.7L V8 engine and six-speed transmission and comes fully optioned-out with 20-inch alloy wheels, rear load-leveling air suspension, and a unique Red Rock/Black interior package with power seat memory package, heated and air-conditioned front seats, second-row heated seats, rear spoiler, power back door, sunroof, headlamp cleaner, and navigation system with a backup camera. 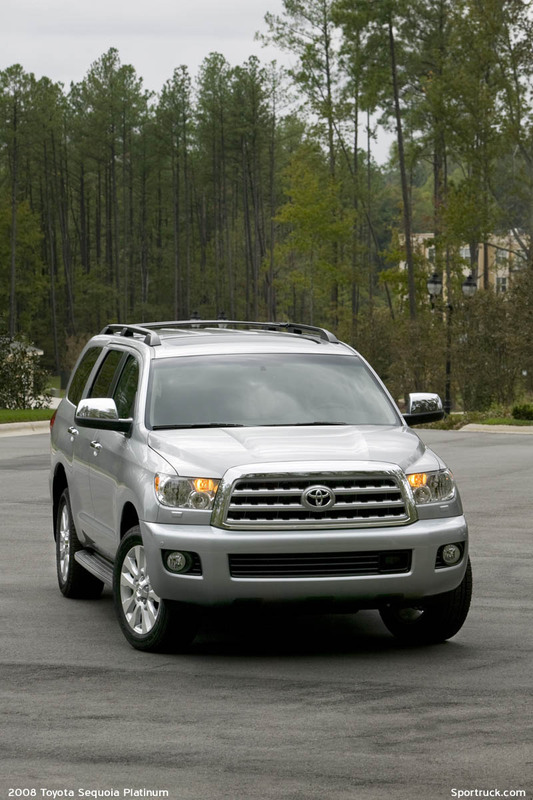 Various upgrades can be added to each trim level.